Moms and dads go through a range of emotions when given their youngster’s diagnosis of Aspergers or High-Functioning Autism (HFA). Often times, brothers and sisters, grandmothers and grandfathers, and other family members go through a variety of emotions and stages of dealing with an Aspergers family member as well. These issues may or may not occur, but can be dealt with if needed. Some of these issues may surface whether or not the youngster and others are told of the diagnosis. In any event, all involved – including the Aspergers child – should have important information about Aspergers since the diagnosis will affect various aspects of his life. The possibility of unwanted issues occurring is more likely when the child – and other family members – are not told about the disorder and given the support they need. Consider the stories told by many people with Aspergers who were not told – or not diagnosed – until they were grown-ups. Misunderstanding others and having poor social skills leads to poor interactions with others and results in ridicule and isolation. Being told, “You should know better than that” or “stop being so rude to people” – and not having a clue what they did or how to “fix” or change the situation – all lead to disappointment and bewilderment. Many people who didn’t know they had Aspergers until they were adults (either because their parents didn’t know, or withheld information) have self-disclosed that, as children, they were seen as a major disappointment and failure to their families and others, but had no clue why they failed or how to do better. Over time, the end result was low self-esteem and isolation. Many of these adults now feel that if they had received the correct information about their diagnosis and what their differences were as children, they would have had a better chance of being more successful in multiple areas today. Your Aspergers youngster may know that he’s different, but he may come to the wrong conclusions about his perceived differences if you, the parent, leave him in the dark about his diagnosis. He may even wonder if he has a terminal illness and is going to die. He sees doctors and therapists and goes for treatments – but is not told why. Even the youngster who doesn’t ask or verbally express concern about being different may still be thinking some of these thoughts. Even kids with Aspergers can sense the frustration and confusion of others, and as a result, they may come to the wrong conclusions about the cause of the turmoil around them. It is the parents’ decision whether they share information about the diagnosis with their youngster. It can seem like an overwhelming task, especially when day-to-day issues consume all the time and energy of a family. It may be helpful to discuss your concerns and possible options for disclosure with others that know your youngster well, other moms and dads of Aspergers kids, and even people with Aspergers and High-Functioning Autism who have been told about their diagnosis. There is no exact age or time that is correct to tell a youngster about her diagnosis. Her personality, abilities and social awareness are all factors to consider in determining when she is ready for information about her diagnosis. Starting too early can cause confusion. If older when told, she may be extremely sensitive to any suggestion that she is different. You can look for the presence of certain signs that a youngster is ready for information. Some kids will actually ask, “Is there something wrong with me?” or “Why can’t I be like my friends?” These types of questions are a clear indication that your child needs some information about her diagnosis. Some Aspergers kids may have similar thoughts, but may not be able to express them. Many parents have found that setting a positive tone about the Aspergers child’s “uniqueness” is a great place to start. Everyone is unique with their own likes and dislikes, strengths and weaknesses, and physical characteristics. One of my favorite lines is, “God made us all different because he knew it would be too boring if we were all the same.” Differences can be discussed in a ‘matter of fact’ manner as soon as the youngster understands simple concrete examples of differences. With this approach, it is more likely that differences – whatever they are – can be a neutral or even fun concept. Matter of fact statements like, “Daddy has glasses and mommy doesn’t” or “Michael likes to ride his bike and you like to play computer games” are examples. The ongoing use of positive concrete examples of differences among familiar people can make it easier to talk to your son or daughter about other contrasts related to his/her diagnosis. Many Aspergers adults assert the view that kids should be given some information before they hear it from someone else or overhear or see information that they sense is about them. An Aspergers youngster may have the view that people don’t like him or that he is always in trouble, but doesn’t know why. If given a choice, waiting until a negative experience occurs to share the information is probably not a good idea. It is important that the process of explaining Aspergers to a youngster is individualized and meaningful. It can be hard to decide what and how much information to begin with. If your son or daughter has asked questions, this gives you a place to start. But make sure you understand what he/she is asking. Recall that it is easy to misinterpret the meaning of his/her words. For those kids who have a keen interest in their diagnosis (and whose reading ability is good), there are many books written by Aspergers kids that may be of interest. There are also many more books written by Aspergers adults. These authors are reaching out to others with a diagnosis by sharing experiences, tips on life’s lessons, and helping readers feel that they are not alone in this journey. To make your discussion meaningful, you can begin by talking about any questions that your child has asked. You may want to write down key points and tell her that others with this diagnosis also have some of the same questions and experiences. Then you could ask if she would like to find more information by reading books, watching videos, or by talking with other people. If asking your youngster if she wants information is likely to get a “no” response, you may choose to not ask, but tell her that you will be looking for information and would like to share it with her. Let her know that she can ask any questions she wants to – at any time. When people with Aspergers and High-Functioning Autism have an opportunity to meet others with the diagnosis, they often find it is an eye-opening and rewarding experience. People with Aspergers can sometimes better understand themselves - and the world - by interacting with others on the spectrum. Interacting with other “Aspies” can help your child realize that there are others that experience the world the same way he does, and that he is not the only one who is “different” (which makes the disorder not so different after all). For many parents, using a therapist to begin the disclosure process may be helpful. Having a therapist involved, at least in the beginning stages of disclosure, leaves the role of support and comfort to the parents and those closest to the Aspergers youngster. For a child with Aspergers, it can be especially hard to seek comfort from someone who gives you news that can be troubling and confusing. Having a therapist whose role is to discuss information about the youngster’s diagnosis and how the disorder is affecting his life can make it easier for parents to be seen by the youngster as supportive. The therapist discussing information with the youngster about his disorder can also help moms and dads to understand the youngster’s reaction and provide suggestions for supporting him. Having a therapist involved also allows the use of a location outside of the family home for beginning this process. Explaining Aspergers to a child can’t be done in one or two conversations. The child needs time to assimilate the new information about herself at her own pace. It will likely take several weeks before the youngster initiates comments or asks questions about the new information. The process of explaining Aspergers is ongoing. Making the information meaningful from the youngster’s point of view will greatly augment the learning process. Also, a positive “spin” on the Aspergers condition helps maintain self-esteem and a productive atmosphere for learning. If you've recently learned that your youngster has - or might have - Aspergers or HFA, you're probably wondering and worrying about what comes next. No parent is ever prepared to hear that a youngster is anything other than happy and healthy, and a diagnosis of Aspergers can be particularly frightening. You may be unsure about how to best help your youngster, or you may be confused by conflicting treatment advice. Also, you may have been told that Aspergers is an incurable, lifelong condition, leaving you concerned that nothing you do will make a difference. Unfortunately, it is not uncommon for people to focus (consciously or unconsciously) on the weaknesses of a youngster with Aspergers or High-Functioning Autism. This is a frequent occurrence for the youngster with poor social and communication skills, odd mannerisms, and learning disabilities. This is especially true of kids with unacceptable behavior related to their disorder. Kids with Aspergers already feel they are different. It is up to us to teach all kids that “different” is not “bad,” and that each of us has special strengths. We can help that process along by showcasing each Aspergers youngster's special strengths and interests. 1. When choosing the right school for your Aspergers youngster, visit several schools (if possible) and look for signs of success. Meet teachers and staff, visit classrooms, and talk with the students to find out if this is the right school for your youngster's challenges. Discover whether the school's attitude about helping “special needs” kids learn matches yours. 2. Be creative in looking for solutions to your youngster's needs. Supplement school learning with dynamic resources, hands-on learning, and field trips to interesting places. 3. Be success-minded. With hard work, proper resources, and solid teamwork between moms and dads and teachers who care, most Aspergers kids can succeed. 4. Become involved in your Aspie's school, even if you only attend parent-teacher conferences to discuss his progress. Even the smallest effort during parent-teacher communication can send a positive message to your youngster's teacher and to your youngster, helping to promote positive self-esteem. 5. Don’t be afraid to seek out help. We are fortunate to live in a society where there are organizations, clinics and private practitioners that provide beneficial services for “special needs” kids. Early intervention can make a great deal of difference in helping a youngster and setting the stage for future success. Professionals say that in early years, there is a “window” of time to help a youngster with Aspergers or High-Functioning Autism. This is true, but it is important to know that help, even later on can make a big difference in your youngster’s skill, behavior and emotional development. 6. No matter the diagnosis, when we help kids focus on their positive qualities, they are happier, feel better about themselves, and become more successful overall. All kids thrive with positive feedback, unconditional love and encouragement. Kids with Aspergers especially need positive responses and interactions with moms and dads, because it is often one of the most motivating factors. When kids with different abilities feel encouraged and motivated, they are more likely to take on new challenges and learn new skills. 7. A diagnosis is often useful. It can help your son or daughter get the services that he/she needs, the best educational programs, and the correct insurance coverage. It can also help moms and dads and people around the youngster to better understand his/her way of interacting and processing information in the world. Beyond these factors, though, it is important to look past a youngster’s diagnosis and focus on the person. 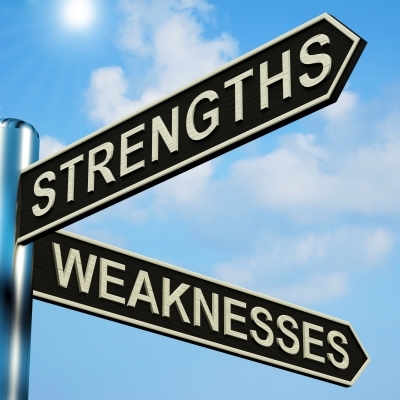 Highlight the child's personal strengths. When Aspergers kids know that you see them for who they are beyond their disorder, challenges that come with any diagnosis don’t seem as overwhelming – and strengths can flourish. 8. Moms and dads of kids with Aspergers are some of the most dedicated, resilient and awe-inspiring parents out there. Parenting an Aspie often takes 3 times the time and energy as a neurotypical son or daughter, and the parents that manage this extra load the best take time to take care of themselves. If you give, give, give and don’t leave any time for yourself, you begin to run on empty. When your personal energy is tapped-out, you have to work harder and might feel depressed, resentful, or irritable towards your child. Although it may seem selfish at first, it is important to do things that bring you joy outside of parenting. You then have more positive energy and deeper well of internal happiness and love to give back to your Aspie. When you take care of yourself, you are really taking care of your child too, because you are giving him the best in you. By building on the youngster’s chosen interest, he will be more excited to learn new skills. By accepting your youngster’s interest, he feels more supported by you. 10. Have you child learn as much as he can about famous people who have Aspergers and Autism. Teaching Aspergers Children the Social Etiquette of "Play"
Young people with Aspergers and High-Functioning Autism often have trouble with social interactions. Understanding what someone is saying and being able to react to it quickly and appropriately is critical to being part of a conversation. But some Aspergers kids can’t do that without help. These kids also tend to have difficulty taking and waiting for turns, playing by the rules, and reacting appropriately if they're not winning. But that doesn't mean that the youngster who is different socially can't be included. Your son or daughter can learn the social etiquette of play, how to avoid and resolve conflicts, and how to show some empathy. 1. Play with your son or daughter in a “peer-like” way. Kids with Aspergers learn crucial skills through play with other kids, but they also learn a great deal through play with their mom or dad. Aspergers kids whose moms and dads frequently play with them have more advanced social skills and get along better with peers. This is especially true, however, when the mother or father plays with their youngster in an effectively positive and peer-like way. Observational studies indicate that the parents of the most socially competent kids laugh and smile often, avoid criticizing their youngster during play, are responsive to the youngster's ideas, and aren't too directive. 2. Provide your son or daughter with opportunities to play with peers. 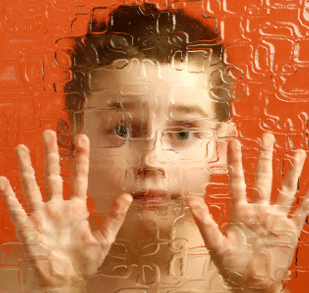 There is no substitute for the experience Aspergers kids get from interacting with peers. Kids who have had many opportunities to play with peers from an early age are clearly at an advantage when they enter a formal group setting (e.g., daycare, public school). Aspies especially benefit when they can develop long- lasting relationships. Kids - even toddlers - who are able to participate in stable peer groups become more competent over time and have fewer difficulties than kids whose peer group membership shifts. In other words, kids develop more sophisticated social strategies when they are able to maintain stable relationships with other kids they like over long periods. 3. Reflect a positive, resilient attitude toward “social setbacks.” Exclusion by peers is a fact of life for the Aspergers child. Aspies have different reactions to these rejections, ranging from anger to acceptance. Some Aspies come to believe that “my friends are out to get me," or that peers are just generally mean, in which case they are likely to react with aggression and hostility to mild slights by peers. Other Aspies may assume that these rejections are caused by an enduring, personal deficiency (e.g., "there’s something wrong with me") and are likely to withdraw from further peer interaction. Socially competent Aspies, in contrast, tend to explain these rejections as temporary or in ways that recognize that a social situation can be improved by changing their own behavior (e.g., "I'll try to be nice to my friends next time"). Sometimes these kids recognize that the situation itself led to the rejection (e.g., all three kids wanted to ride bikes, but there were only two bikes, so one child was left out). Moms and dads of these socially competent Aspies endorse interpretations of social events that encourage resilient, constructive attitudes. Rather than making a statement like, "That's a really mean kid!" …they may say something like, "Well, maybe he's having a bad day." They make constructive attributions like, "Sometimes children just want to play by themselves," rather than expressing a sentiment such as, “Those kids are not being very nice if they won't let you play with them." These parents avoid negative statements like, "Maybe they don't like you," and offer instead suggestions like, "Maybe they don't want to play that particular game, but there might be something else they would enjoy." Such positive statements encourage Aspies to take an optimistic view of others and themselves as play partners. They reflect an upbeat, resilient attitude toward social setbacks and the belief that social situations can be improved with effort and positive behavior. 4. Use a problem-solving approach. When problem-solving, moms and dads can help their son or daughter consider various solutions and perspectives. As parents know, there are often no easy answers to most of kid’s problems with peers. Therefore, it is helpful for Aspies to learn how to think about relationships and weigh the consequences of their actions for themselves and others. 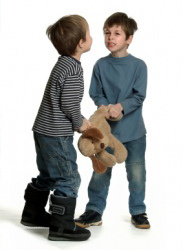 Kids who are encouraged to think in terms of others' feelings and needs are more positive and prosocial with peers. Also, kids whose moms and dads talk with them more often about emotions are better liked by their peers. 5. Talk with your Aspergers child about social relationships and values. Aspies who have more frequent conversations with a parent about peer relationships are better liked by other kids in their classrooms and are rated by educators as more socially competent. As a part of normal, daily conversation, these parents and kids talk about the everyday events that happen in school, including things that happen with schoolmates. Often these interactions take place on the way home from school or at dinner. These talks are not lectures, but rather conversations enjoyed by both parent and youngster that (a) communicate to the youngster an interest in his/her well-being, and (b) serve as a basis for information exchange and genuine problem solving. The Autistic Brain: Malfunction or Human Evolution? Autism is the fastest growing “developmental disability” in the U.S. – and the only disorder dramatically on the rise (with mental retardation, Down syndrome, and cystic fibrosis remaining roughly the same). Earlier Autism prevalence figures were much lower, centering at about 0.5 per 1,000 during the 1960s and 1970s, and about 1 per 1,000 in the 1980s. The reported spike in the prevalence of Autism raises questions about whether this dramatic increase is factual, or a byproduct of greater awareness that has led moms and dads, educators, and professionals to see symptoms of Autism in kids who would not have received the diagnosis 20 years ago. 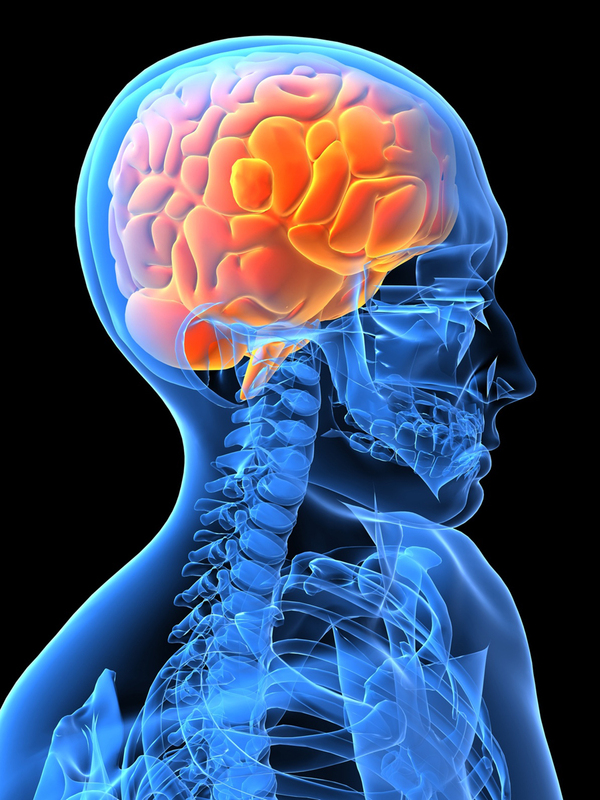 The human brain is unique among all species in its enormous metabolic demand. If researchers can explain how the human brain sustains such a tremendous metabolic flow, they will have a much better chance to understand how the brain works – and why it sometimes “malfunctions.” But is it truly a “malfunction” (i.e., functions badly)? Or is the human brain on its evolutionary path to “hyper-functioning” (i.e., functioning above and beyond the norm)? Many children with Aspergers and High-Functioning Autism have difficulty processing everyday sensory information (e.g., sounds, sights, smells). This is called “sensory sensitivity,” and it can have a profound effect on a child’s life. Most “neurotypical” children (i.e., kids without Aspergers) process sensory information automatically without needing to think about it much. However, children with sensory sensitivities have difficulty processing everyday sensory information. Those who struggle to deal with all this information are likely to become stressed or anxious, and possibly feel physical pain. This can result in difficult behavior. If the Aspergers child gets sensory overload, he may just “shut down.” He experiences what is known as “fragmentation” (similar to being tuned into 20 TV channels at once). • A central object is magnified, but things on the periphery are blurred. • Central vision is blurred, but peripheral vision quite sharp. • Objects appear quite dark or lose some of their features. • Poor depth perception – problems with throwing and catching; clumsiness. • Distorted vision: objects and bright lights can appear to jump around. • Easier and more pleasurable to focus on a detail rather than the whole object. • May not acknowledge particular sounds. • May only hear sounds in one ear, the other ear having only partial hearing or none at all. • Might enjoy crowded, noisy places or bang doors and objects. • Inability to cut out sounds – notably background noise, which often leads to difficulties concentrating. • Noise can be magnified and sounds become distorted and muddled. • Particularly sensitive to sound and can, for example, hear conversations in the distance. • Enjoys heavy objects (e.g., weighted blankets) on top of them. • Has a high pain threshold. • Holds others tightly - needs to do so before there is a sensation of having applied any pressure. • Difficulties brushing and washing hair because head is sensitive. • Dislikes having anything on hands or feet. • Only likes certain types of clothing or textures. • Touch can be painful and uncomfortable; child may not like to be touched, and this can affect his relationships with others. • Likes very spicy foods. • Certain textures cause discomfort; some children will only eat smooth foods (e.g., mashed potatoes, ice-cream). • Finds some flavors and foods too strong and overpowering because of very sensitive taste buds; has a restricted diet. • Some kids may lick things to get a better sense of what they are. • Some kids have no sense of smell and fail to notice extreme odors (can include their own body odor). • Dislikes people with distinctive perfumes, shampoos, etc. • Smells can be intense and overpowering. This can cause toileting problems. • A need to rock, swing or spin to get some sensory input. • Difficulties stopping quickly or during an activity. • Difficulties with activities like sport, where the child needs to control his movements. • Difficulties with activities where the head is not upright or feet are off the ground. • Hard to navigate rooms and avoid obstructions. • May bump into people. • Stands too close to others, because they cannot measure their proximity to other people and judge personal space. • Moves whole body to look at something. • Difficulties with fine motor skills: manipulating small objects (e.g., buttons, shoe laces). 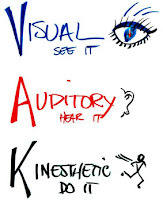 Note: “Synaesthesia” is a rare condition which some Aspergers kids experience. 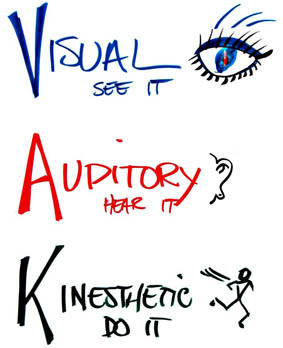 A sensory experience goes in through one system and out through another. So the child might hear a sound -- but experience it as a color (i.e., they will 'hear' the color blue). • Increase the use of visual supports. • Create a workstation in the classroom (i.e., a space or desk with high walls or divides on both sides to block out visual distractions). • Reduce fluorescent lighting. Use deep-colored light bulbs instead. • Use visual supports to back up verbal information. • Prepare the child before going to noisy or crowded places. • Shut doors and windows to reduce external sounds. • Use weighted blankets or sleeping bags. • Allow the child to complete activities themselves (e.g., hair brushing and washing) so that they can do what is comfortable for them. • Gradually introduce different textures. Have a box of materials available. • Remember that a hug may be painful rather than comforting. • Warn the child if you are about to touch him; always approach him from the front. Some Aspergers kids are hyper- or hyposensitive to taste, and may limit themselves to bland foods or crave very strong-tasting food. As long as the child eats a bit of a varied diet, taste sensitivity isn't necessarily a problem. • Use strong-smelling products as rewards and to distract the child from inappropriate strong-smelling stimuli (e.g., feces). • Use unscented detergents or shampoos, avoid wearing perfume, and make the environment as fragrance-free as possible. • Encourage activities that help to develop the vestibular system. This can include using rocking horses, swings, roundabouts, seesaws, and games like catching a ball or practice walking smoothly up steps or curbs. • Break down activities into small, more easily manageable steps; use visual cues (e.g., a finish line). • Use the “arm's-length” rule to judge personal space. This means standing an arm's length away from other people. • Put colored tape on the floor to indicate boundaries. • Position furniture around the edge of a room to make navigation easier. • Do “fine motor” activities (e.g., lacing boards). • Possible reasons: sensitive to taste or texture, or unable to feel food around the mouth. • Possible solutions: change the texture of food (e.g., purée it). Slowly introduce different textures around the child’s mouth (e.g., a toothbrush, some different foods). Encourage activities that involve the mouth (e.g., whistles, bubble wands). • Possible reasons: may find this relaxing, or enjoy the sensation of chewing on the item. • Possible solutions: offer latex-free tubes, straws or hard sweets. • Possible reasons: may like the texture of feces or not be very sensitive to smells. • Possible solutions: try and introduce things (e.g., jelly, corn flour, water) to handle instead; introduce alternative strong-smelling items. • Possible reasons: may dislike the texture or pressure of clothes on his skin. • Possible solutions: turn clothes inside out so there is no seam, remove any tags or labels, allow the child to wear clothes he’s comfortable in. • Possible reasons: may have difficulty shutting down his senses, in particular sight and hearing. • Possible solutions: use blackout curtains or weighted blankets; listen to music to cut out external sounds. • Possible reasons: too many distractions (e.g., noise, talking, bells, chairs scraping the floor, etc.) or visual stimuli (e.g., people, pictures on the wall, etc.). May also find holding a pencil uncomfortable (it may feel hard or cold). • Possible solutions: position Aspergers student away from doors and windows so there are fewer distractions. If possible, use an individual workstation with some screens around it or use classroom furniture to create a distraction-free area for the student. Try different textures to make the pencil more comfortable. 1. Music therapists use instruments and sounds to develop the child’s sensory systems, usually their auditory (hearing) systems. 2. Occupational therapists design programs and often make changes to the environment so that adults with sensory difficulties can live as independently as possible. 3. Speech and language therapists often use sensory stimuli to encourage and support the development of language and interaction. 4. Sensory rooms can help to stimulate, develop or balance the child’s sensory systems. Some specialist schools, local services and hospitals have them, as well as some nurseries. You may also come across sensory gardens. Some families create a sensory room in their house (or adapt a corner of a room, perhaps screening it off with a curtain).